Hello again, Buddyfighters! 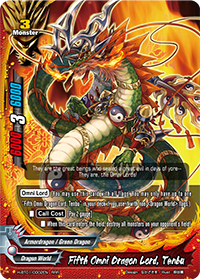 We’re less than two weeks away from the the release of the three new Start Decks from Future Card Buddyfight Triple D. Are you excited?! 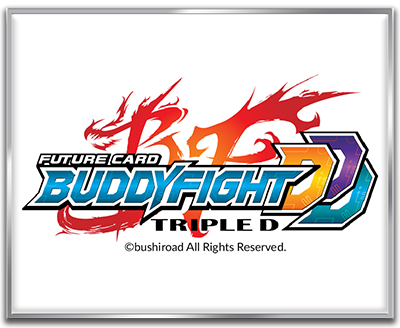 To commemorate the launch of this brand new season, Official Bushiroad Tournament Stores across the world will be hosting special “Triple D” Start Deck Tournaments! In this event, players may only use cards from the new Triple D Start Decks and may receive an exclusive Triple D Pin Badge. The events are available in selected stores for a limited period, so head to the event page for more details! Ally with one of the worlds, choose your buddy, and duke it out to see which Dragon prevails!! Did you enjoy last week’s Omni Lord Roster? 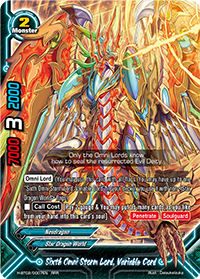 In this week’s Buddyfight Buzz, we will continue talking about the rest of the Omni Lords. 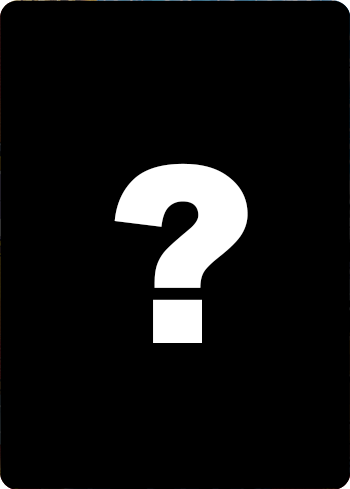 Stay tuned until the end as we reveal a very special Monster! The Omni Lords are great monsters who were gathered together tens of thousands years ago to seal the world-devouring Yamigedo on Earth. Fast-forward to thousands of years later, an unfortunate incident released this horrible fiend and only by the combined powers of the Omni Lords can it be re-sealed again. Each of the Omni Lord carries an Omni Lord emblem which is the key to their status and unique power. Succeeding the will of Tenbu, the young dragon became the heir of the red “Dragon” Omni Lord emblem. Although Drum did not immediately become a proper Omni Lord upon receiving the emblem, he proved his mettle by displaying his strong resolution to protect his Buddy. Putting his life on the line to protect Gao activated the Omni Lord emblem. 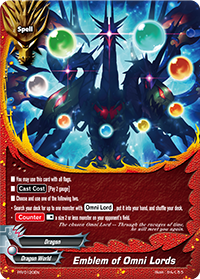 The seven honorable Armored Cavalry Dragons, aides of the Fifth Omni Lord, were awakened soon after Drum became a true Omni Lord. 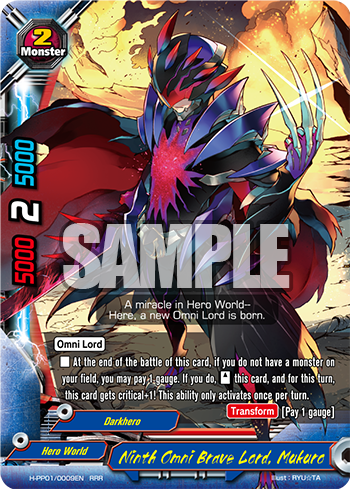 Variable Cord, the Omni Lord from Star Dragon World, possesses the blue “Storm” Omni Lord emblem. In his human disguise he is called Suzaku Kenran, the leader of an underground Buddyfight Club where fighters gambled in Buddyfights with their Buddy monsters on the line. Similar to his Omni Lord form, Suzaku looks vibrant (with his pink-purple-yellow hair!) and appears to have a thoughtful personality and melancholic back story. However, his vicious nature arises when angered, and Variable Cord especially detests those who deceive him. Grangadez is an Omni Lord from Danger World who is renowned for his strength, and is often called the most powerful Omni Lord. 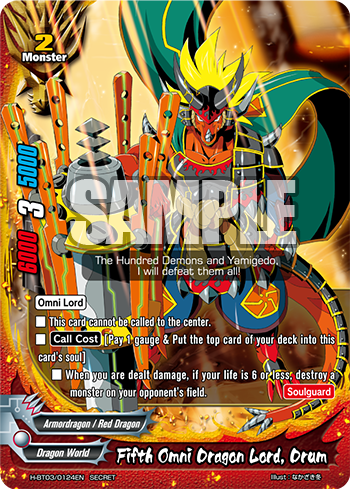 The massive golden monster has red stone-like spikes adorning his body and positioned his orange “Deity” Omni Lord emblem at the center of his torso. Grangadez does not speak the human language, and communicates only through telepathy—or through roars. With Miserea’s help, Rouga managed to earn the Deity Omni Lord’s respect, and the last of the eight Omni Lords was finally recruited to join the mission! Coincidentally, in the soon-to-be-released Hundred Perfect Pack Vol. 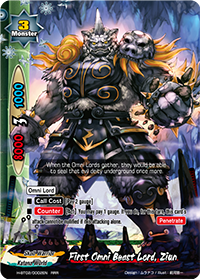 1: Terror of the Inverse Omni Lords, there is a card that will further pique your curiosity on this matter. 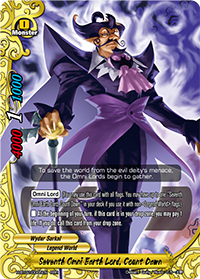 We will finish the Omni Lord Roster series with a bonus feature of that card! Without further ado, let’s take a look! Let’s take a closer look at the card first. 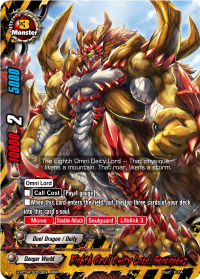 The Ninth Omni Brave Lord is a size 2 monster that sports a powerful, aggressive effect and an amazing artwork! At the end of its battle, you can put it to [Stand] to attack again with 1 added critical! In addition, this card has the [Transform] ability, which allows the player to equip it as an Item instead. A decent 5000 defense will also help you fend off monsters with low attack trying to deal damage directly to you. 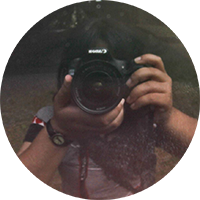 We will save the story for you to ponder. Don’t forget to watch Future Card Buddyfight Hundred’s upcoming episodes to solve the mystery! That’s all for today! The Omni Lords are amazing, aren’t they? 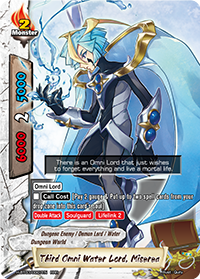 My personal favorite is Miserea, the Third Omni Water Lord because of his gentle and melancholic personality. Which one is your favorite? Comment on Facebook or Twitter to let us know! Remember that each of them has a dark doppelganger, which are also really epic Monsters! Don’t forget to check them out at the Hundred Perfect Pack Vol. 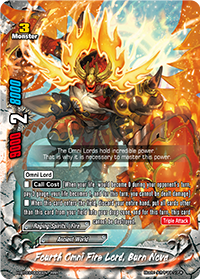 1: Terror of the Inverse Omni Lords which is going to be released this weekend. We hope you enjoyed the Omni Lord All-star Roster series! 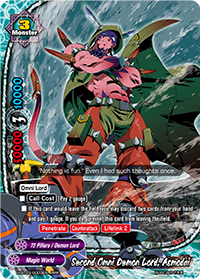 Stay tuned to Buddyfight Buzz for more exciting stuffs from the world of Future Card Buddyfight. Till next time!